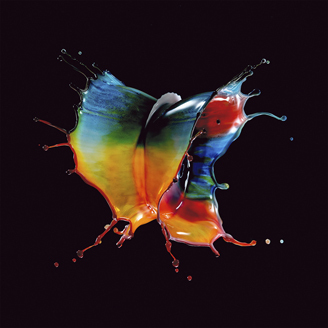 Butterfly is a colorful work of fine art photography capturing the abstract, butterfly-like form of a splash of liquid. The warm yellows in this image seem to produce their own light when contrasted with the darker green and blue tones of the water against the pitch black background. This complex piece elegantly uses negative space, and is a bold work of art to feature on an office wall. 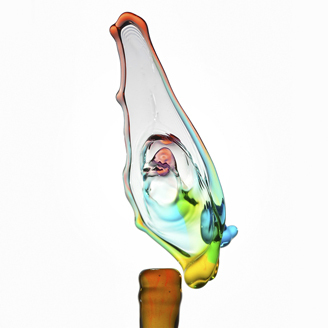 This abstract work of fine art photography captures the moment after a pool of liquid is disturbed, with fingers of liquid reaching upward in a celebratory, firework-like burst. 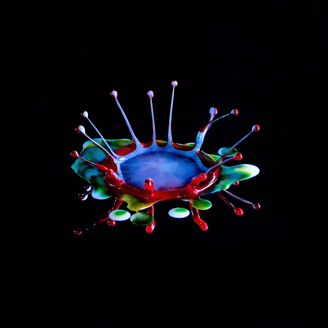 This limited edition print is composed in blue, red, and green liquid centered focally in black negative space. 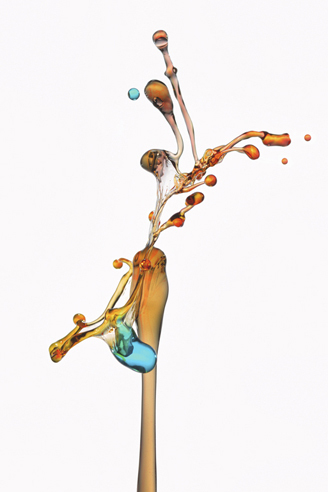 Confetti 2 is fine art photography capturing the movement and splash of liquid in response to being disturbed. 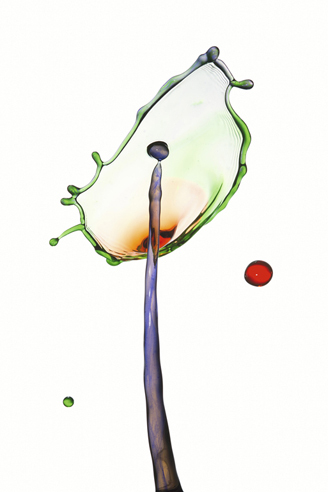 This abstract limited edition print shows a slurry of red, green, and purple liquid splashing upward in a celebratory burst. Reminiscent of the 4th of July, this piece captures the elegance and technique of artist Raúl Cantú. 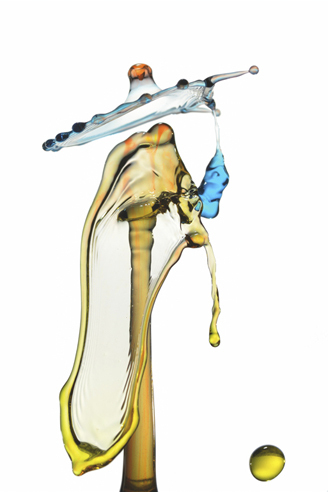 This whimsical capture of a transparent splash of liquid stained yellow and blue resembles an old woman in a stylish sun hat dancing under the summer sun. This limited edition print is sure to bring out the creative imagination of any viewer trying to discern understandable shapes from these elegant abstract forms. 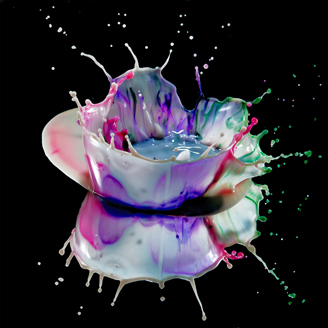 Delirium is a fine art photograph of an energetic splash of colored milk. 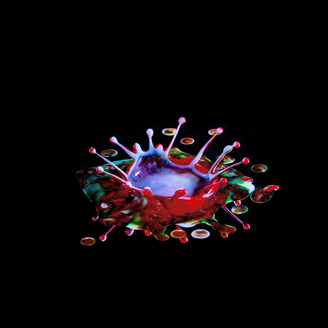 White tendrils of liquid fly upward, forever suspended against a black background with drops of purple, pink, and green. 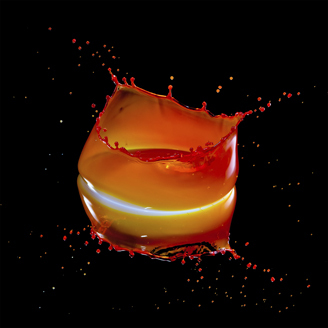 The artist uses photography to capture the elegance and abstraction of natural physics. Embryo by Raul Cantú captures a transparent splash of water harboring an embryo-like shape within it's elegant borders. This piece evokes a sense of the motherly glow apparent during pregnancy in gentle colors of blue, yellow, and orange against a clean white background. This piece will add a tranquil elegance to any space it is featured in. 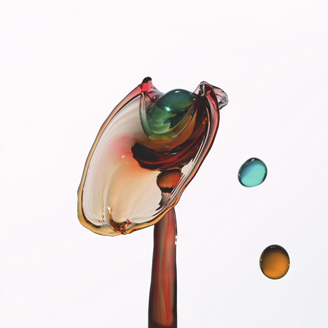 Halo by Raul Cantú is a work of stunning fine art photography capturing the surreal movement of moving liquid. This particular piece was created using watermelon colored liquid featuring shades of pink, red, and lime green which add to the summer warmth of this refreshing limited edition print. Infected Mushroom is an ethereal capture of a splash of golden water forming what appears to be a delicate forest mushroom, available as a limited edition print to add a contemporary nature vibe to your office or home. 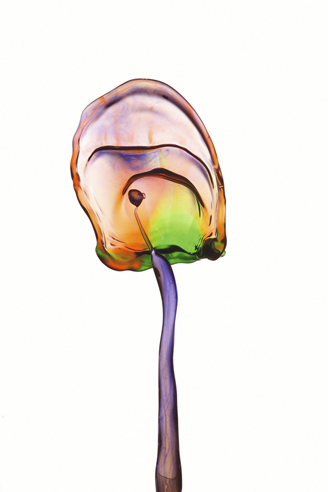 Lily by Raul Cantú is a delicate work of fine art photography capturing the transparent nature of splashes of colored water, creating a form similar to a Cala Lily. This limited edition print is composed in blended shades of purple, green, and red. 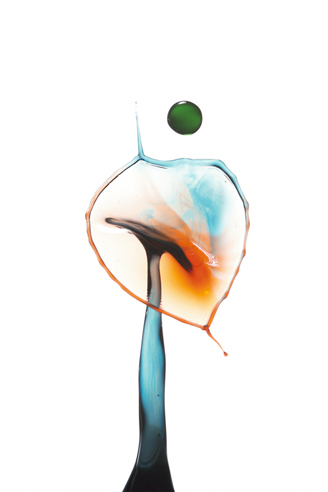 Martini by Raul Cantú is a classic work of fine art photography capturing the elegant textures and shapes of a splash of multicolored liquid. 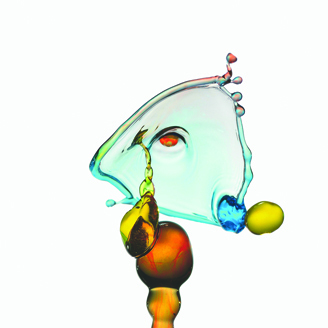 This piece represents the classic Martini drink, with a drop of green liquid as the olive and a sort of fine glass in orange and blue beneath. 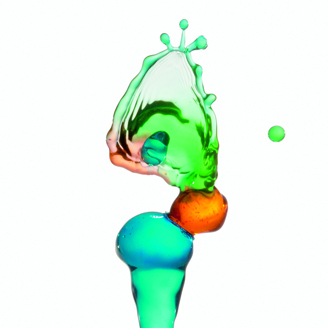 This playful liquid splash photograph by Raul Cantú suspends a moment in time where a mix of liquid droplets rise heavenward in shades of blue, orange, and green. Although this is a photograph, the colors and composition give this piece an abstract feel. 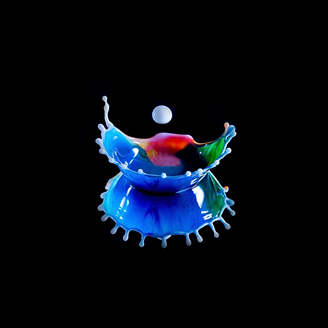 Rainbow Crown by Raul Cantú is a colorful photograph portraying a splash of rainbow liquid, rising in celebration. Whether you associate the colors with a promise, with pride, or with the forward movement of society, this photograph is a sharp composition that will add to any household with the symbolism within a rainbow. 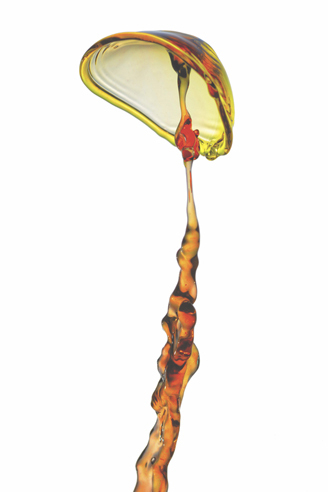 Sap Acrobatics by Raul Cantú is a fine art photograph capturing the olympic grace of a splash of liquid frozen in time, resembling a femenine figure held up by a masculine partner. The abstract capture is composed in warm orange with spots of blue. 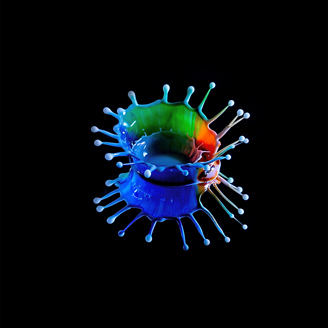 Surreal Look by Raul Cantú captures the minute details in a complex splash of liquid, the colors and forms coming together in a surreal composition. This fine art photography limited edition print is composed in contrasting shades of cool blue and warm gold. 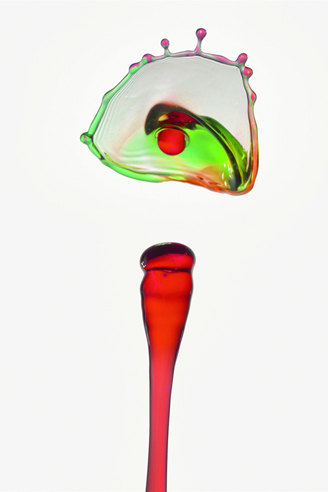 The Dancer by Raul Cantú is a bubbly photograph of a splash of cool colored liquid forming a silhouette similar to that of a dancer spinning on tiptoe. 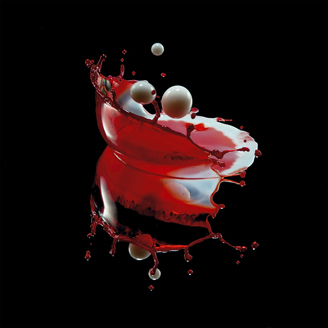 Three to Fall by Raul Cantú captures the moment before three pure drops of white liquid impact a splash of transparent red liquid against a stark black background. 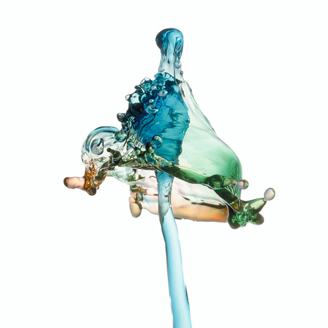 This limited edition print uses tension, symmetry, and and contrast to create a surreal look at the movement of liquid.